Municipal elections take place on November 15th in municipalities across Metro Vancouver, and we think it's important to understand local candidate positions on cycling. Would your local candidates for mayor and council themselves vote in favour of investments towards improving cycling infrastructure in your municipality, and to fill critical gaps in the regional cycling network? And would they make these commitments within the next four-year election cycle? We asked Metro Vancouver candidates to complete a 2-question survey about their position on cycling, and the results are in! 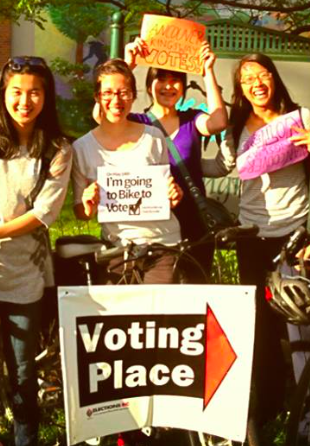 Make informed choices this election cycle....and Vote to Bike on November 15th!